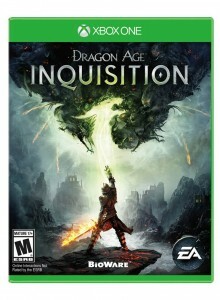 Amazon has Dragon Age Inquisition PS3 & 4/Xbox 360 & One Sale Priced at $29.99. Free Shipping for Prime members or on orders over $35. PC version also available including PC download. This action role-playing video game is developed by BioWare and published by Electronic Arts. It is the sequel to Dragon Age: Origins and Dragon Age II, the third major game in the Dragon Age franchise. GameSpot rates it 9 out of 10.